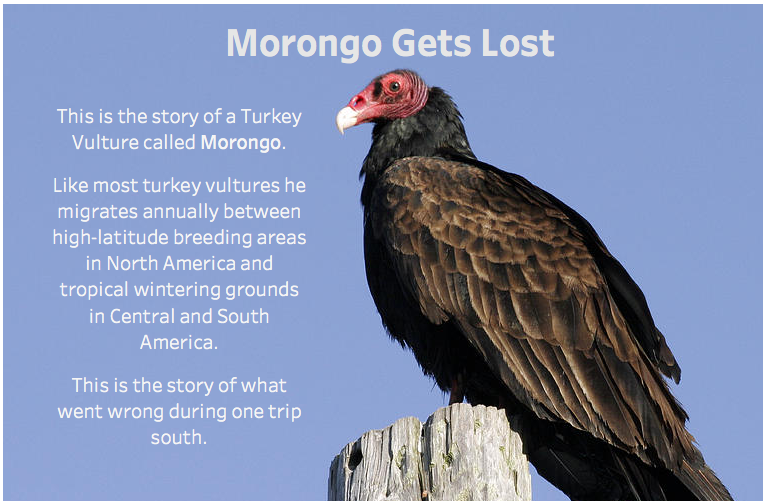 Turkey Vultures. You didn’t expect that, did you? Yeah, me neither, and what a cool dataset it turned out to be! 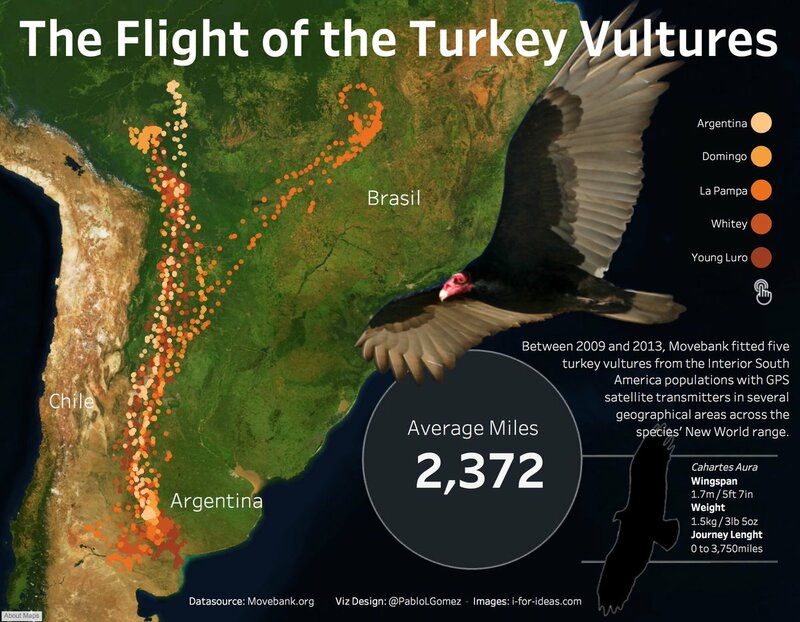 The dataset contained migration data for turkey vultures in North and South America and came from a research paper studying the patterns of their migration. I could sense the enthusiasm with which our community, YOU, approached this dataset, which wasn’t an easy one to work with but, judging by the comments on data.world and Twitter, one you still enjoyed. This may sound familiar, and it should, and it’s a lesson worth repeating because it is important. No matter how experienced you are with data visualization, a pro for years or a newbie just starting out, there are always opportunities to simplify, be it in your analysis or your design, maybe even in your approach. This week I noticed a number of visualizations that were not necessarily complex, but certainly more complicated than they needed to be. What happens easily is that people add too many elements and too much information to their vizzes, especially when it comes to colours. 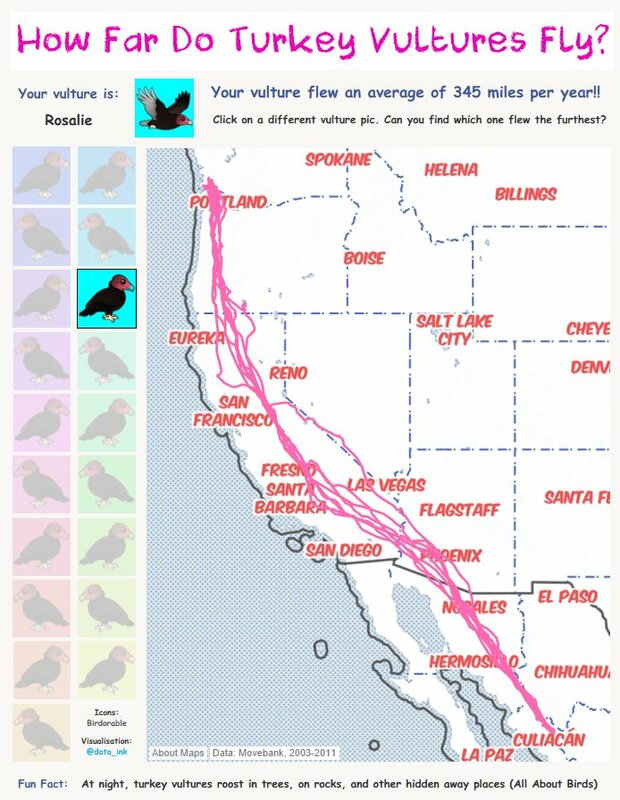 It is tempting perhaps to give every dimension member, for example, each bird in this dataset, a different colour, and then to also colour their inbound versus outbound migration or the years during which they were tracked or the locations and hemispheres. Stop! Once you’ve added all that colour to your dashboard, take a step back and close your eyes, then open them and look at it: Is this the best way to represent the data and is it helping you tell a clear story? Doesn’t it look really confusing? And can you tell the difference between the various colours to understand what is important and what is supporting information? Here, colour is used to focus on a single bird above all others. 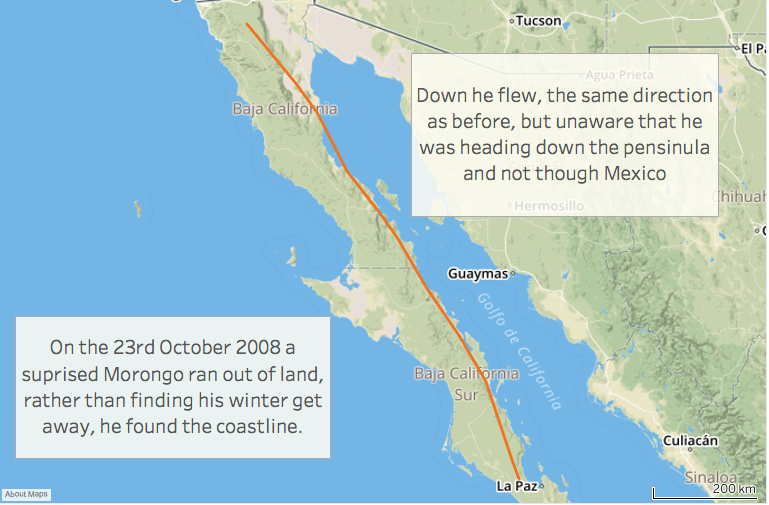 I have moved Mac to the front, so his orange dots for each location become visible against the rest of the flight paths which are simply kept to show context and highlight how far he travels compared to some of the other birds. Another important aspect of simplification is formatting in general. Regardless of the tool you use and the story you tell, my suggestion is to remove as much unnecessary ‘non-data ink’ as possible. What lines, dashes, borders, spaces (or lack of space), filters, legends, etc. 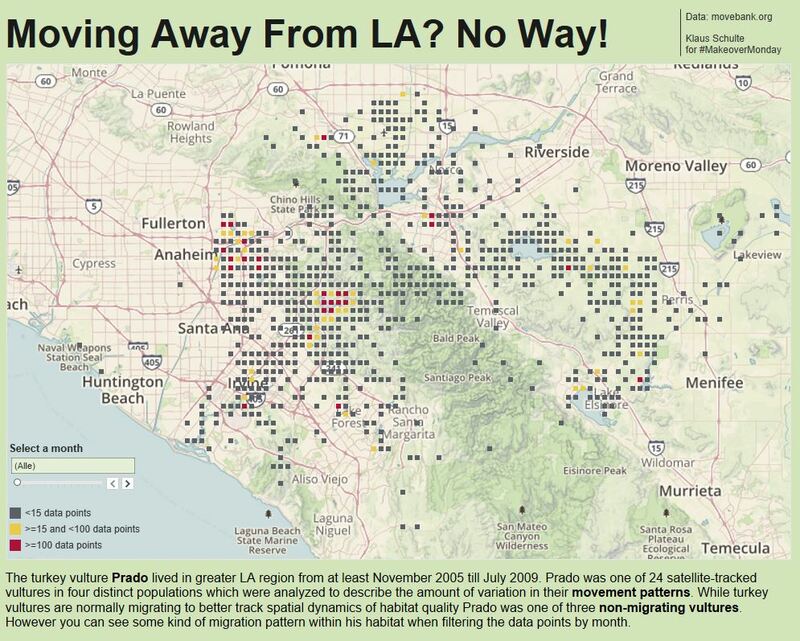 can you find in your viz that don’t really need to be there? 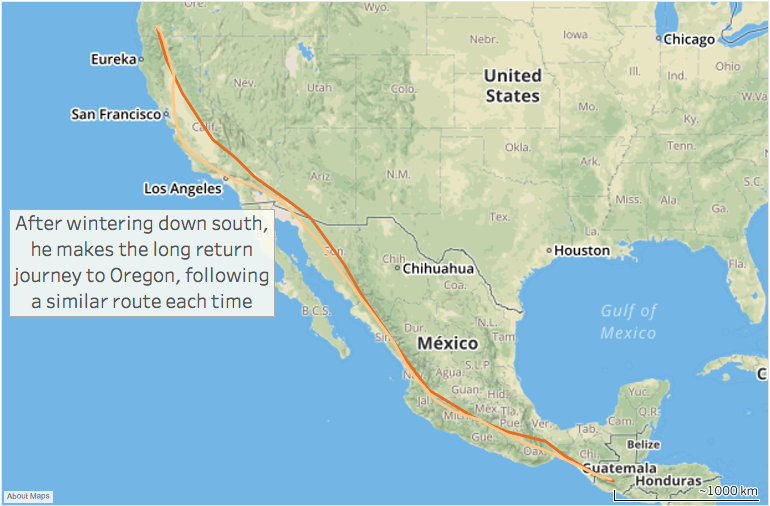 Do you need a border around your map? Nope. I could imagine it looking good if you have a tile design with various elements all in the same ‘boxed’ style’ but if your map is for context and a different size and shape compared to the rest of the elements on your viz, then remove the borders and see how it looks. Do you need such a detailed map? Probably not. 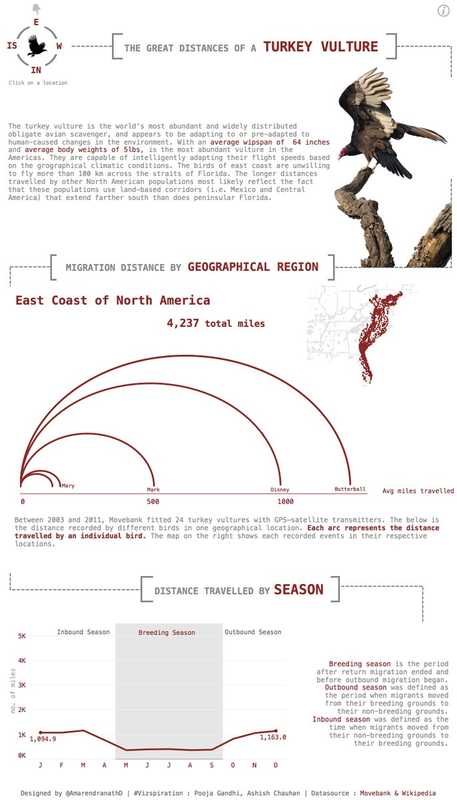 We saw and expected a lot of maps this week and they were great to look at because the data made fascinating patterns for each bird’s flight path. 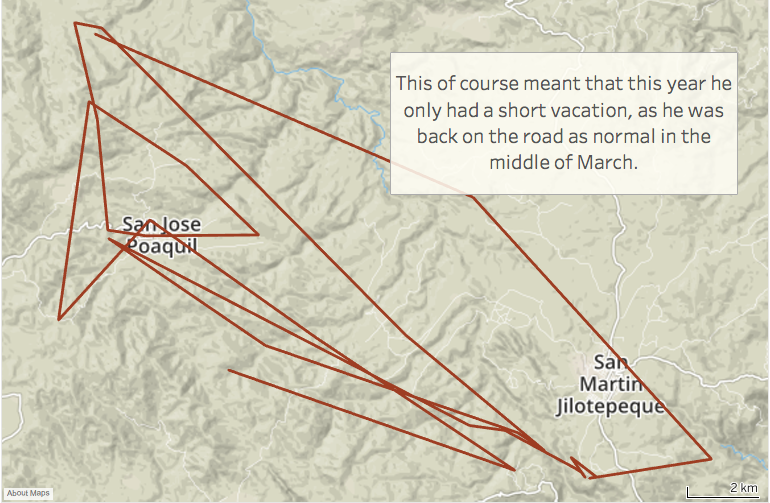 What I want to challenge you on is rethinking the level of detail of your maps. 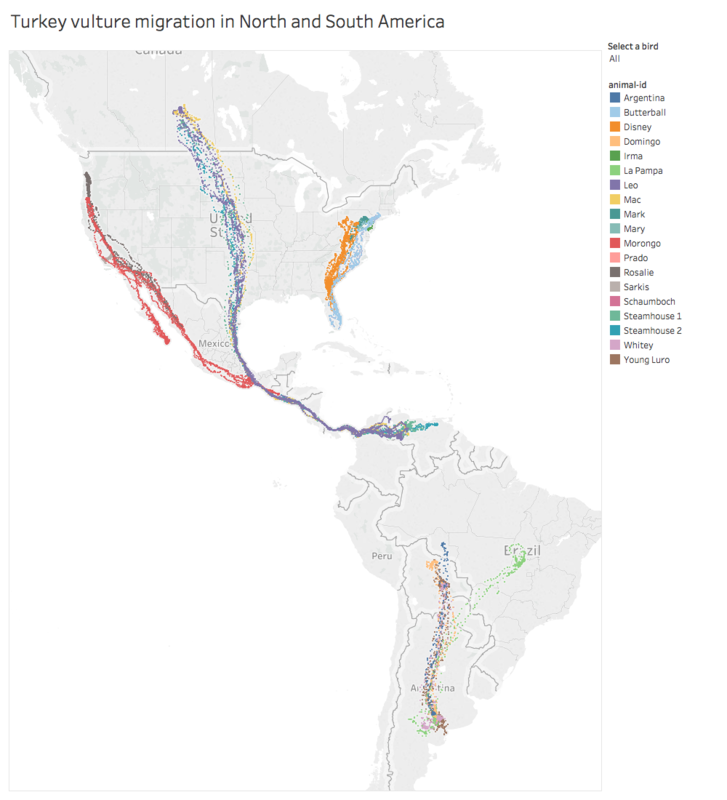 There are so many birds and data points, that having maps that show state borders and names, country names as well as being coloured by terrain or otherwise, can be very busy and make it difficult to see the actual data. In the example images above, I have kept one map the default while making the other as simple as possible, still showing countries and coastlines, but removing everything else. 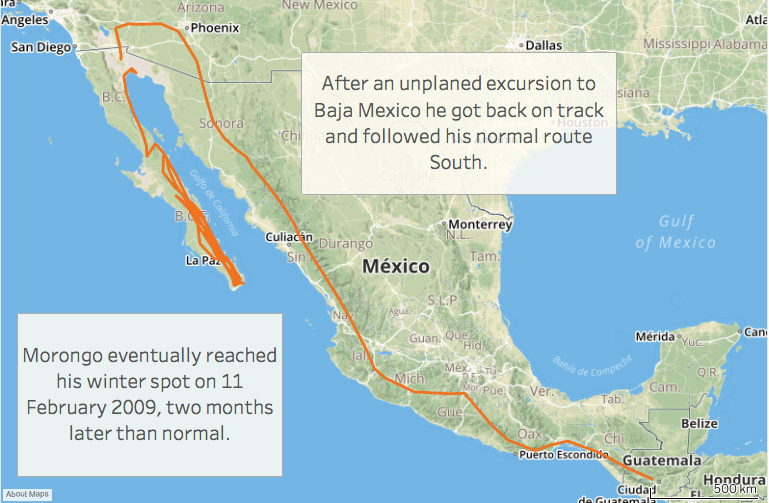 Again, experiment with your particular data story and see whether removing any layers from your map helps your data to stand out. Is it really flexibility or does your audience feel like you’re moving the responsibility of finding insights over to them? This is a key consideration in any business setting, by the way. Is your audience ‘sophisticated’ enough when it comes to interactive visualisations, to know what they even need to do with these filtering options? Does your message, e.g. a statement or claim in your title, an annotation in your charts or a conclusion at the end of your viz, still hold true if people apply different filters? Filters require extra thought being given to your text elements, because when the filter changes, the story changes – have you considered that? Do the filters make sense? In our example, we have two dozen birds that your audience knows nothing about (unless you force them to read the research paper). Does it help them to filter by bird names??? Would it be more useful for them to filter by, for example, migratory versus non-migratory bird (resulting in two filter options instead of 24)? 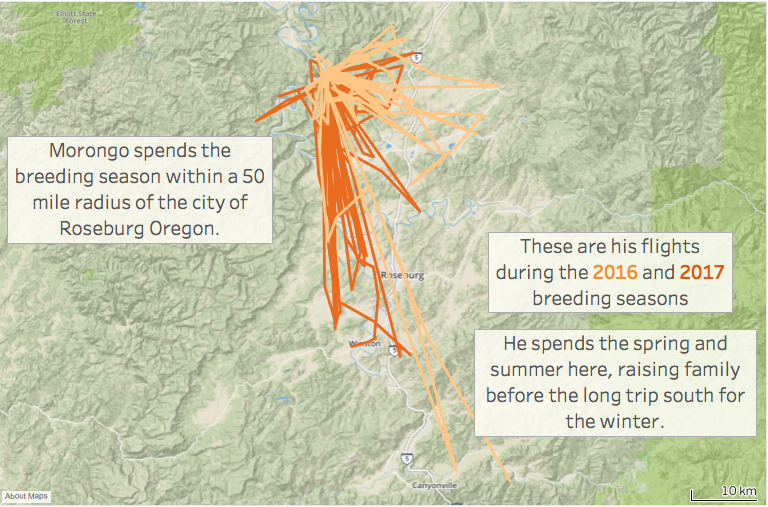 Or how about filtering by older versus younger birds based on years tracked (again two options)? Filters with lots of options can feel overwhelming when your audience has no basis for choosing one item over the other. As you can hopefully see from the above points, guiding your audience rather than letting them ‘run wild’ with many filters, will result in a much better user experience. Keeping filtering options simple or – better yet – removing them and instead having focused insights available, is a good path to informing your audience and introducing them to a (new) topic. Can you customise? Most likely yes. We see many people experiment with different designs and colours and what can be difficult, is to include elements like maps in their default state to bring a design together. Formatting your maps as described above can help, but sometimes you want a completely different colour! To get custom maps, I suggest you head over to mapbox.com and check out their customisation options to design something that will bring your viz together as a whole and make your audience go ‘wow!’. 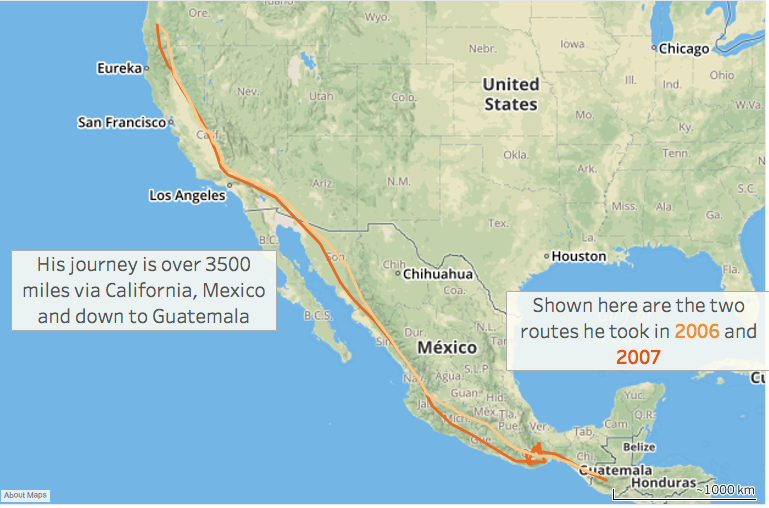 Two great examples where custom maps enhance the story by blending everything together, come from Sarah Bartlett (left) and Pablo Gomez (right). Can you imagine their vizzes being anywhere as visually impactful if they had stuck a default map on them? I hope they will inspire you to explore your customisation options. 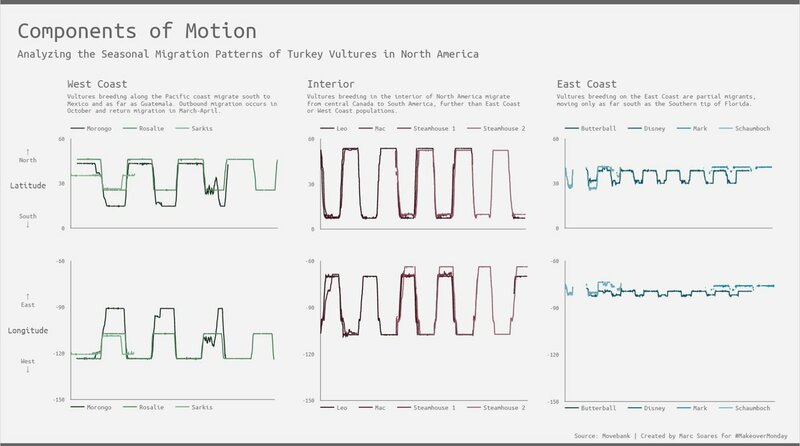 Is data visualization the same as analysis? Absolutely not. 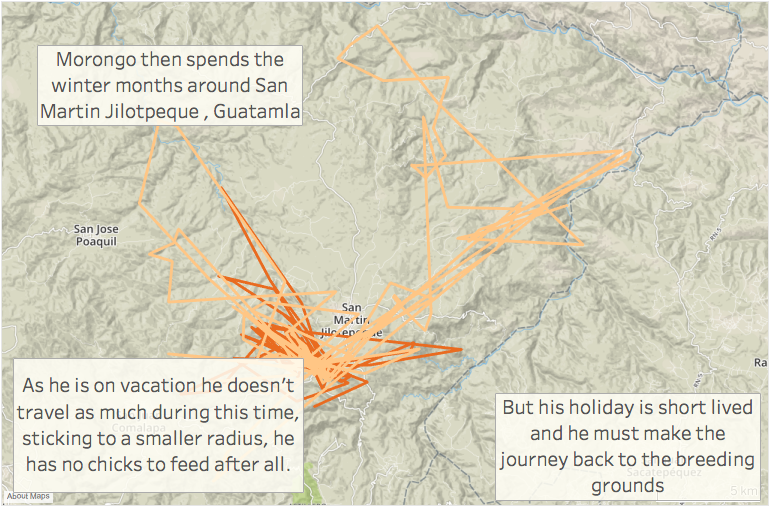 But using visualizations to analyse data is an effective way to identify interesting data points and build a story. Everyone is free to use Makeover Monday the way they like, be it to practice dataviz techniques, try out new tools, become a better data storyteller, build their portfolio or practice data analysis. There is no deadline, there is no need to rush and submit something as quickly as possible and I suggest that taking your time to really get a story out of the data, is a great way to become a better data analyst and is a skill to take back to your day job. When we’re short on time, and yes, I absolutely include myself here as well, we often skim the surface, take something that looks interesting and visualize a story around it. That’s fine. There is, however, so much potential to find those unique insights, those golden nuggets in a dataset, when we take the time to dig a little deeper. 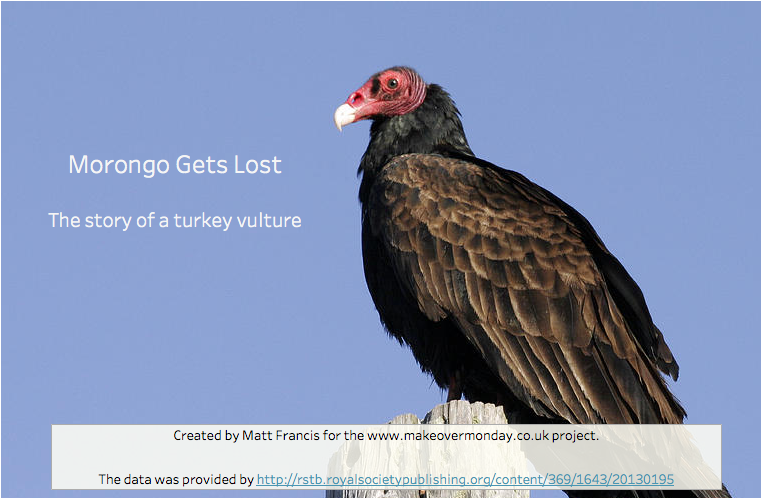 Not every dataset lends itself to that, some are too simple or too small to give any great insights. This week, however, there were stories to be found and a great example comes from Matt Francis. If you haven’t met him in person, make sure you put it on your bucket list, because not only is he a great person, but he’s also a great data analyst and his Tableau public portfolio is testament to that. 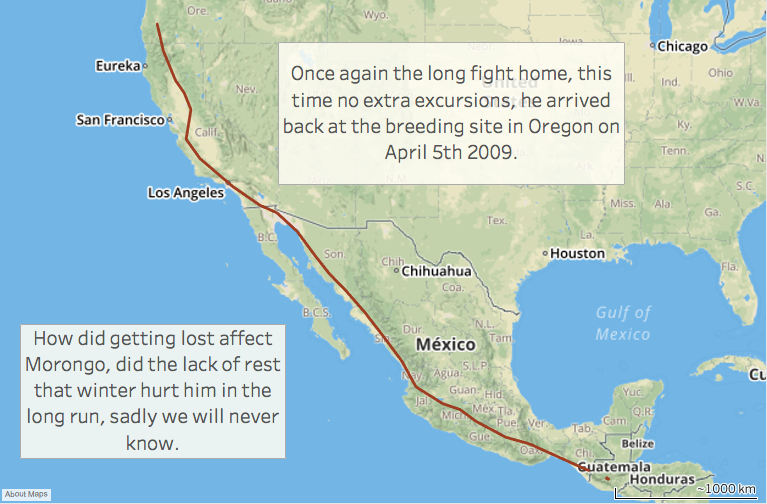 He didn’t just look at the data but dug around until he found a story. 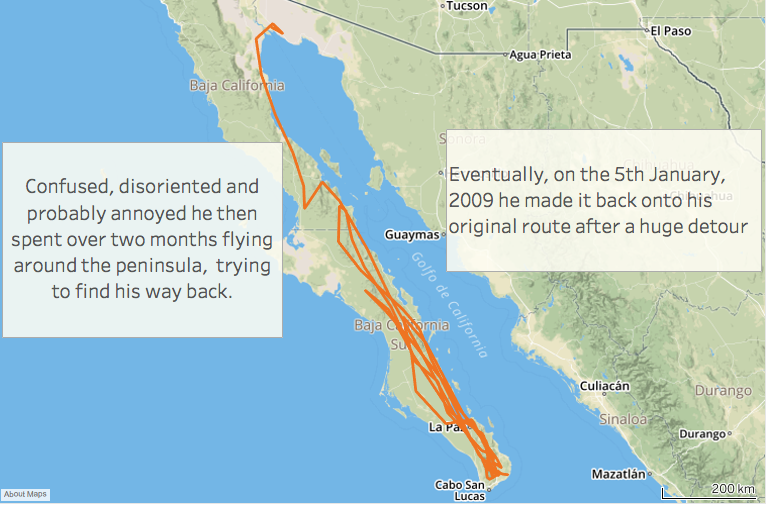 At first he noticed that one bird wasn’t like the others and that the migration pattern for this one bird was different in a single year compared to his usual path. 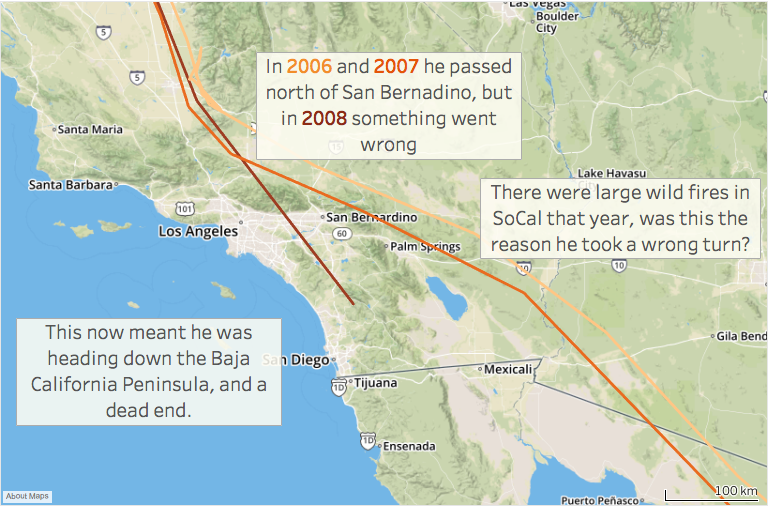 Going from there he went further and had a look at the timing, the duration of Morongo’s detour, the possible causes (forest fires?) and built a story around it. 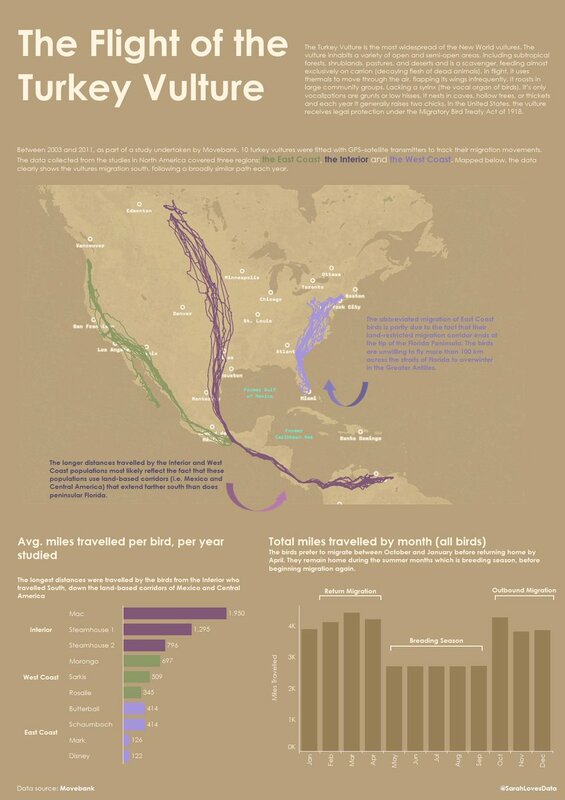 He crafted his viz to take the viewer on a journey to follow Morongo’s migration. And he doesn’t just work through story point after story point. No, he build from an introduction to the crisis point, before having us all relieved with a happy end and Morongo finding his summer domicile two months later than normal. This is a great example of thorough analysis as step one, followed by making this analysis and its findings available to a wider audience through effective storytelling, letting the ‘drama’ unfold step by step. I want to challenge you to dig a little deeper next time you have a challenging dataset, especially one that contains time and therefore could reveal interesting or absurd trends and developments.